Noticed an uptick in road construction near you? You can thank a law passed last year which created a 12-cent gas tax and hiked vehicle registration fees. 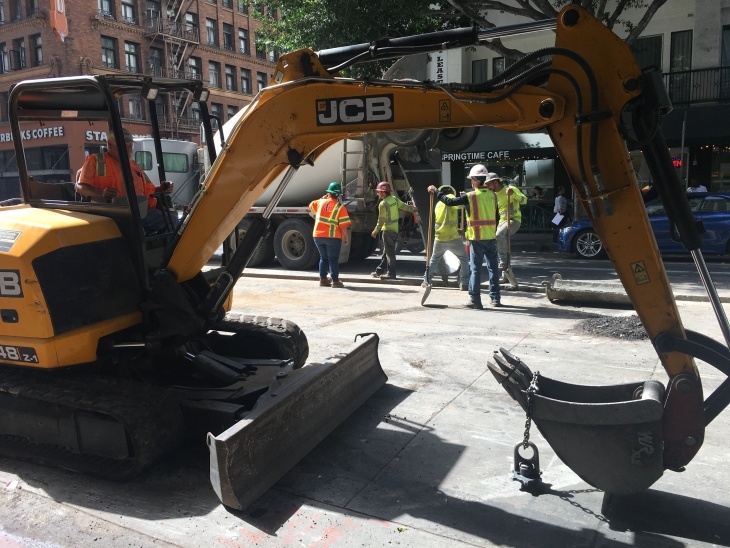 The revenue is on track to add more than $5 billion a year to street repair and transportation projects. But the new law attracted enemies. And now Proposition 6 is on the November ballot to repeal those taxes. Cheaper gas or better roads? You can argue among your friends. We've put together some key facts on Prop. 6 to help you decide. TL;DR - WHAT'S A YES OR NO VOTE ON PROP 6 MEAN? A YES vote on Prop 6 means you want to repeal the gas tax and vehicle fees — and tie the legislators' hands so they can never pass another transportation tax in the future without asking voters first. A NO vote on Prop 6 means you want to keep the new gas tax and vehicle fees in place, contributing some $5.2 billion a year to transportation and road maintenance projects. HOW MUCH AM I PAYING NOW FOR THE NEW GAS TAX AND VEHICLE FEES? The claims around how much the typical driver is paying vary wildly. The No on 6 campaign says the tax costs a modest $120 per year, while a Yes on 6 website claims it is costing the typical family $779 a year. If you're driving the California average of about 14,000 miles a year, and your car gets the state fuel economy average of 25 miles per gallon, then you are buying 560 gallons of gas a year. At 12 cents a gallon, you will pay about $67 a year in new gasoline tax. Add to that the new vehicle fees you pay when you renew your vehicle registration. The Transportation Improvement Fee ranges from $25 for an aging economy car to $175 for a luxury vehicle. Most car owners will pay a new vehicle fee in about the $50 range, state officials said. So if the typical driver of a non-electric car is paying about $117 per year, then a two-car household would pay about $234 per year. Obviously, the tax and fees are less if you have a very fuel-efficient car or drive fewer miles, and more if you have a gas-guzzler or drive a very long commute. Diesel users pay 20 cents a gallon in new tax plus an additional 4 percent sales tax. WHAT WOULD PROP 6 ACCOMPLISH? It would eliminate the new 12-cent per gallon gasoline tax and the 20-cent per gallon tax on diesel. It would do away with the new Transportation Improvement Fee and ditch the new tax on zero emission vehicles. In the first partial fiscal year that the repeal would take effect, the state would take in nearly $3 billion less for transportation projects. It would prevent the Legislature from passing another similar tax without putting it to the voting public. WHERE DID THESE NEW TAXES ON GAS AND VEHICLE FEES COME FROM? The new taxes and fees were enacted as part of SB1, a package of legislation that barely passed the Legislature last year. 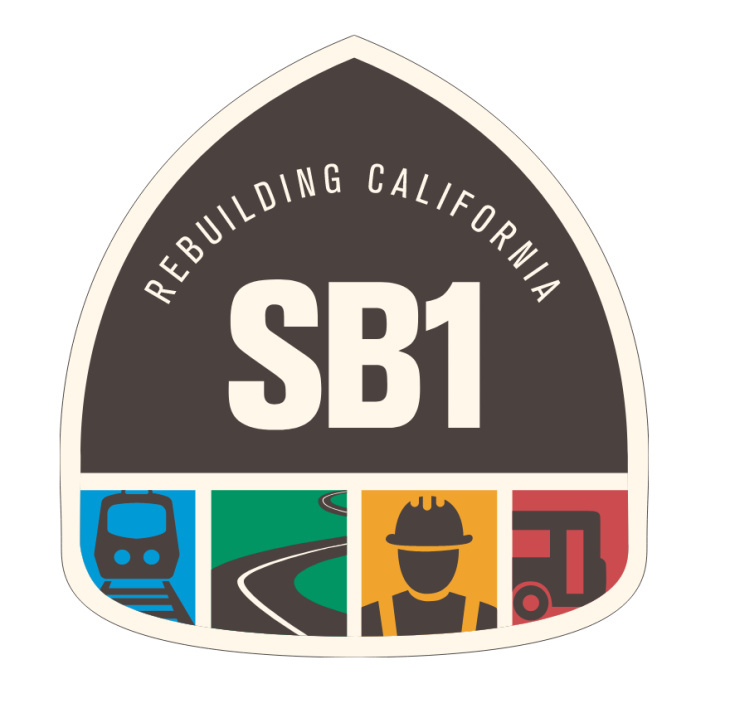 Yes, THAT SB1, which is plastered on signs on road construction projects along freeways and roads all over the state. SB1 is intended to make a big dent in the $130 billion backlog in deferred maintenance of roads and bridges and to reduce congestion. The $5.2 billion raised each year is also meant to accelerate transit projects and some of the money goes to active transportation projects that make walking and bicycling safer. Half the gas tax money goes straight to county and city governments to spend on transportation projects. Californians have been paying the new tax and fees since November. WHO WANTS TO REPEAL SB1 AND THE NEW TAXES? Republican candidates for office, and in particular candidate for governor John Cox and San Diego conservative talk show host Carl DeMaio, who poured money and hours of volunteer and paid signature gathererss' efforts into getting the repeal measure on the ballot. They succeeded, getting nearly 1 million people to sign petitions. Some people signed while pumping gas at stations that reduced prices as an enticement for the repeal effort. Despite the early infusion of cash for the repeal effort, the money spigot has slowed, and of $4 million raised in support of the Prop 6 repeal, the Yes on 6 committees have a combined $1.4 million left. The appeal by the Yes on Prop 6 side is a pocketbook argument. The tax is costly and unfair, hitting poor people harder than others. WHO WANTS TO KEEP THE NEW TAX AND FEES IN PLACE? In contrast, the coalition of Prop 6 opponents have poured $32 million into the No campaign, and they have $19 million left to spend, as of reports filed with the state on Sept. 22. The coalition includes the construction industry, labor unions, transit advocates and many government officials who want to keep $5.2 billion in gas tax and vehicle fees flowing in. WHICH SIDE DOES THE POLLING FAVOR? The Public Policy Institute of California found that while most Californians favor lower gas taxes on principle, about 52 percent of voters opposed Prop 6 when they read the title and summary and about 36 percent favored it. And let's face it, many voters' first glimpse of state measures is in the voting booth on Election Day, so that ballot title and wording assigned by the California Secretary of State is important. 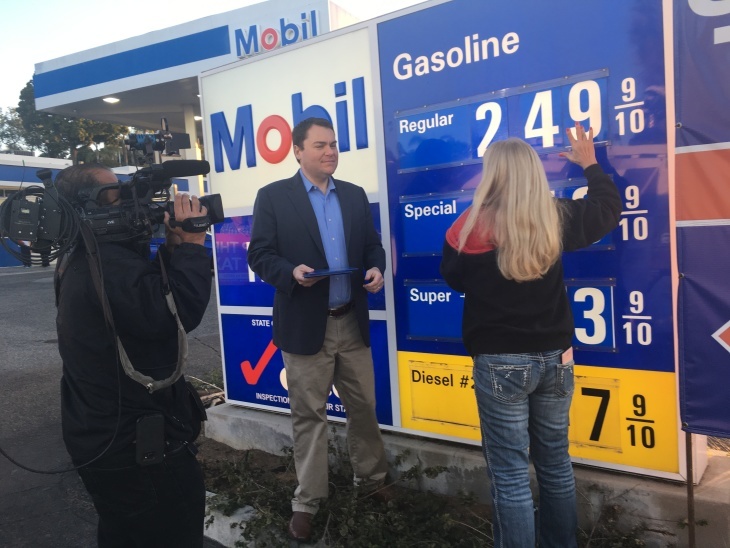 Supporters of Prop 6 complain that the title and summary are misleading because they describe the loss of funds to the state but do not highlight the repeal of the gas tax.